Promotion valid from 13 August to 31 October 2018 for selected event nights. 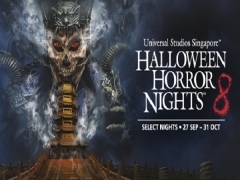 Promotion is valid for purchase of Halloween Horror Nights 8 dated event ticket from 13 August 2018 to 31 October 2018. Extension of validity is strictly not permitted. 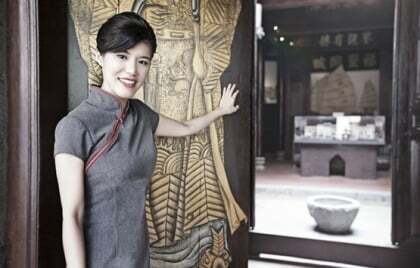 Promotion is valid for purchase at www.rwsentosa.com/mastercard via a MasterCard Credit/Debit card. Valid for admission on the selected date of visit only. Valid for one (1) event day and one (1) guest admission during event hours only. Not inclusive of all separate ticketed experience(s) during the event. Promotion is valid for purchase of up to 6 packages per transaction, subject to availability. No costumes, full face make up or masks allowed. Event Ticket is not applicable during regular Universal Studios Singapore operating hours. Event Ticket is non-transferable, not for sale or exchange, non-refundable even in cases of inclement weather; void if altered. Any resale of tickets/vouchers is strictly prohibited. Handstamp & ticket required for the same day re-entry. Event operating hours are subjected to change without prior notice. Additional terms & conditions apply. Visit http://www.rwsentosa.com/attractions-terms for more information. Check out ​Resorts World Sentosa for more details about this offer and to book your tickets now!